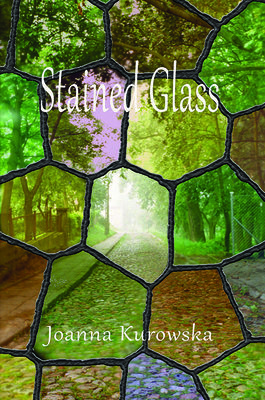 Joanna Kurowska’s new book (her seventh) of Stained Glass offers readers insightful reflections about how one’s identity changes with a change in language. A bi-lingual poet and scholar, Kurowska’s poems open her family album for us to see a grandfather with “cheeks/full of prickly needles,” an aunt who “moved/into the neighborhood of bees and flowers,” and a fond parish priest who prays in his sleep. She was cautioned “Remember your roots” when she came to America, and these poems are full of that wisdom as well as some troubling paradoxes that powerfully energize this collection, like this one—”Look: you are no longer walking down the road/now the road runs through you.” That road for Kurowska has been marked with disappointments (being classified in “File #3” as an alien) as well as immense triumphs. Kurowska’s title points to both the secular and sacred worlds she enters as she travels on the roads running through her. But what makes this a stand-out collection is Kurowska’s imagery in her second, adopted language—it is fresh, pulsating, provocative, and at times beautifully sacramental. Kurowska’s seventh book of poetry is marked by its effortless, inclusive grace. Through recollections of conversion and immigration from Poland to the United States, she paints a picture of God as a true relationship, a genuine encounter that actively resists the temptation for stagnance present in blind dogmaticism. From the raw honest of ‘Mount Tabor’, the humanizing ‘Berlin boys’, hard-hitting ‘Christmas Now’ and the challenge of ‘The Choice’, Stained Glass is a must-have collection of poetry for the soul-starved searching for a tall glass of camaraderie and peace.